Whether you are looking for a short or long term advertising solution, the Triangle A-Frame has you covered. This A-Frame banner stand features a sleek, lightweight design that fits nicely into a single carrying case. You have the freedom to advertise your brand any time, any place. 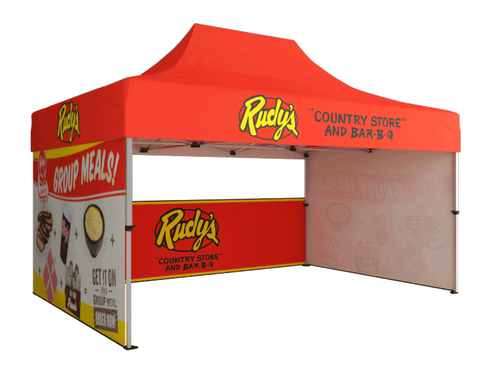 The A-Frame banner stands work great for outdoor trade shows, charity events, and sporting events! You can even use it in front of retail space to truly deliver brand awareness and capture the attention of any passerby.